Earn money by carrying luggage or thing of other users. 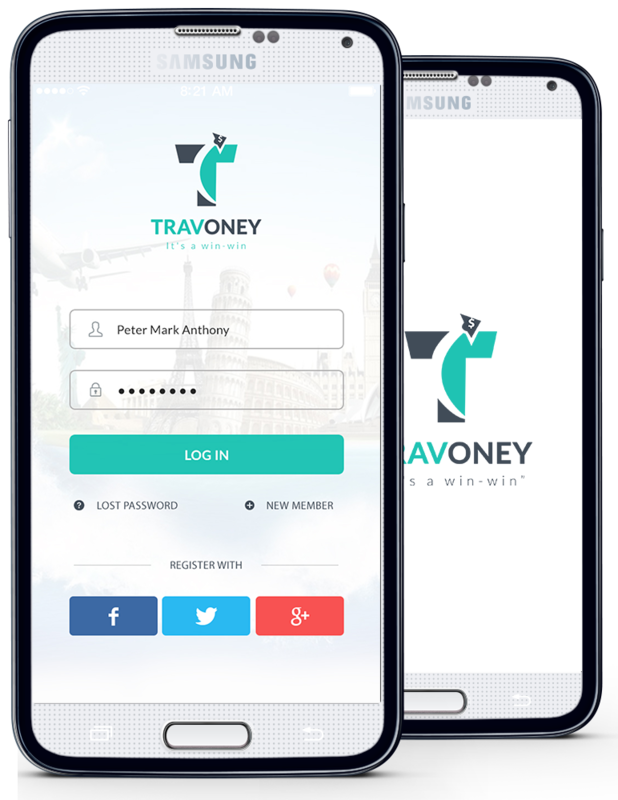 Click on register button to start the journey with travoney. Help yourself by earning money and happiness from others. Travoney is the new, innovative way of sending urgent packages and parcels to your nearest and dearest without incurring huge costs. How does it work, you may ask? It’s simple. You, the sender, hand your parcel to a trusted and vetted traveler, who so happens to be travelling to the destination of your loved one; upon arrival, they then deliver it for you. And that’s all there is to it. No massive charge; no worrying about whether it will arrive on time; no unnecessary stress. Just you, your friendly, trustworthy sender and a whooping cheer to celebrate. And as for you travelers – how many times have you been travelling light and found yourself with little baggage, but plenty of extra storage space? You can earn money simply for carrying another’s package as you trek across the vast lands of the Earth – if it sounds like a win-win, then it is. WHY TRAVONEY IS A GOOD IDEA? Getting your package delivered to any place, city or country to your loved one on urgent basis is always an expensive method. There is no guarantee of delivery time as well. Why put yourself through unnecessary and damaging stress? 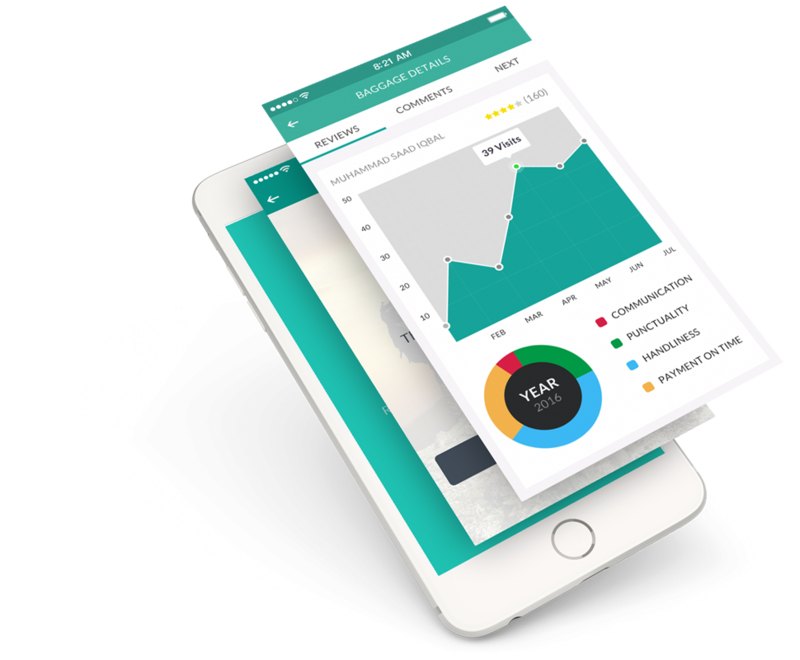 Why fork out hundreds for a delivery when this simple, cost-effective method could yield you the same results, but with far more focus and benefit to YOU than the companies who ask for such extortionate amounts? And why, for you adventurous travellers, not earn some extra cash just for delivering another’s package? We all know Travelling is expensive, whether by Air, Car, Train or Bus. Travoney can help you to cover your traveling costs or even some extra bucks. So Go on, give it a try – it’s about time the traveller and sender unites! It takes less than a mintue to list either journey or baggae. Add your own security checkpoints to confirm integrity of person. Select the baggae category of your choice to decide what to carry and what to not. 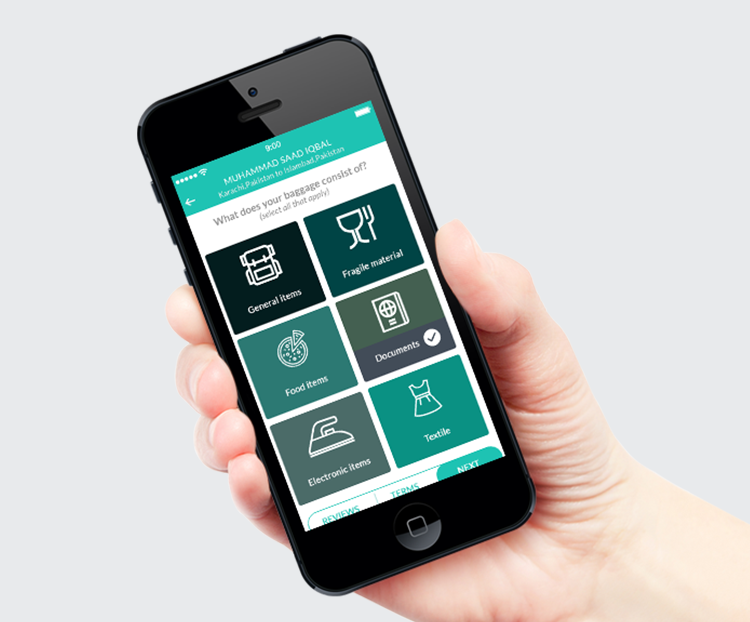 Earn extra money by travelling an extra mile to deliver the sender's baggage. List a journey and search for the senders on your proposed date. Meet sender at the agreed place. Check and carry the package. "We hope you will find all your answers on your FAQ, but if you need more information, please email us info@travoney.com. We're delighted to assist. " ITS AVAILABLE ON GOOGLE APP STORE. IT'S FAST. IT'S RELIABLE. IT'S FREE. IT'S EASY TO USE. IT'S TRAVONEY! Travoney © 2016 All Rights Reserved.